Jumbo Leaf Confetti. Moana Birthday Party. Luau Party Decorations. Tropical Leaf Wall Art. 18CT. Looking for a way to pep up your summer tablescape? 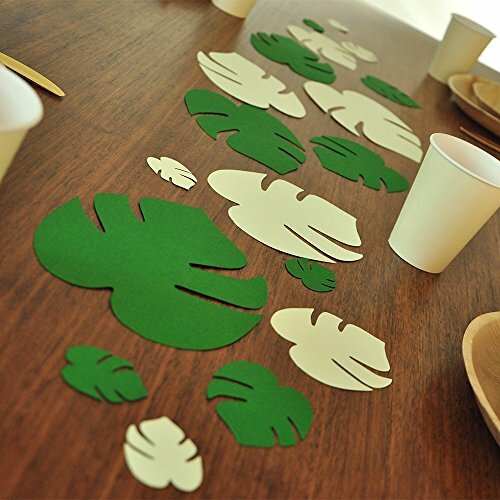 Our Confetti Momma Paper Tropical Leaf Jumbo Confetti are the perfect accessory for your plates and cutlery. They look wonderful as a runner down the middle of the table! Whether you are planning a luau, wedding, first birthday party or anniversary dinner this confetti is sure to wow your guests. If you have any questions about this product by Confetti Momma, contact us by completing and submitting the form below. If you are looking for a specif part number, please include it with your message.